Brent, Lenee, Chase and Anastasia were a very happy, young, growing family. 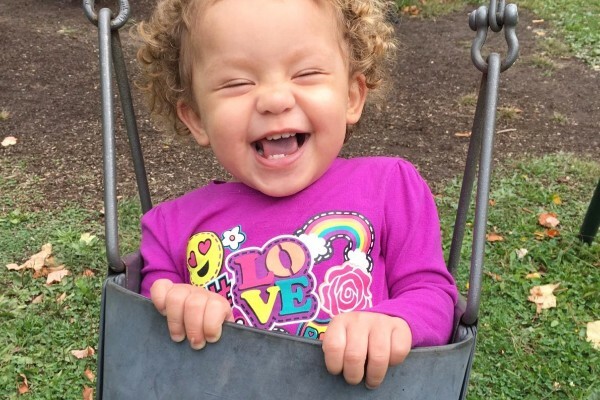 Two weeks ago family members noticed that 8-month-old Ana was not acting like herself. She stopped reaching for items/toys that were in front of her. She was unable to react to light or familiar faces. Brent and Lenee were obviously concerned and brought Ana to her pediatrician. The pediatrician was also concerned and sent Ana to an eye specialist, who saw no abnormalities in her eyes. He referred the family to a neurologist. 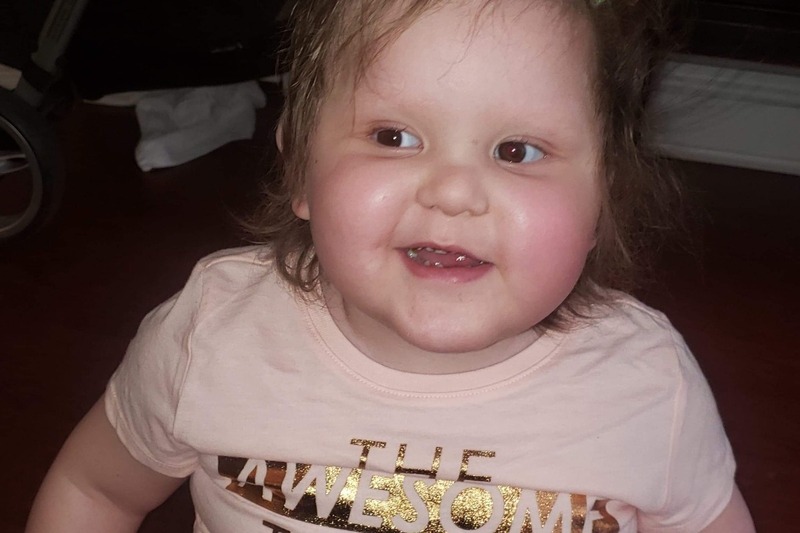 Their worst fears were confirmed, 8-month-old Anastasia was diagnosed with an inoperable brain tumor. Ana recently had a procedure that enabled some of the fluid from her brain to be drained. This procedure also included some biopsies. 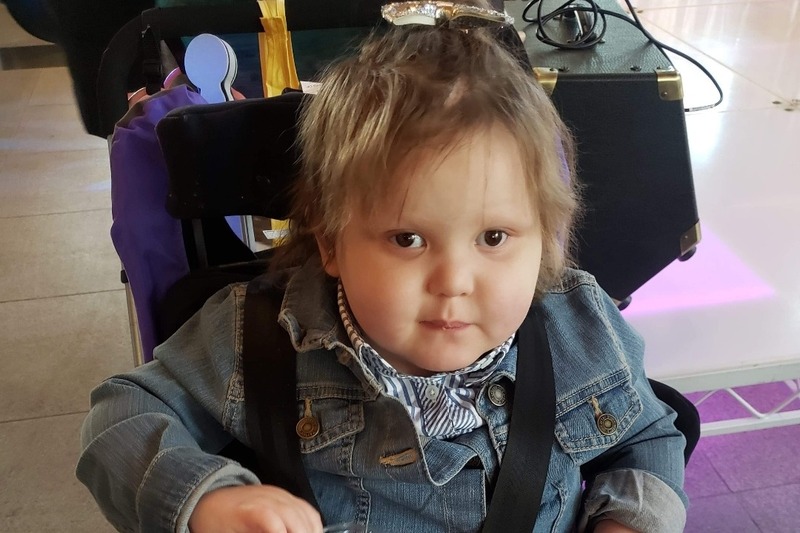 In spite of all of the tests and procedures Ana has endured, there are multiple tests that still need to be done in order to try and find another course of treatment. Brent, Lenee, 4-year-old Chase and little Anastasia have a long road ahead of them. We are asking for financial support to help them with their mounting medical bills and most importantly we are asking for your prayers for this young family. Thank you and God bless. Ana...always smiling, forever our optimist! She constantly reminds us of what's important! God bless Ana. We haven't had an update in quite sometime! We have some good news to share 10 months ago Ana was accepted for a clinical trial through NYC. All MRI's indicated that the tumor was shrinking, and by quite a bit. However, her MRI in December/January indicated that the tumor had not gotten any smaller....didn't get any bigger but did not shrink. On Monday Ana had another MRI this time the news was not so good. The tumor actually started to grow again. Ana can no longer be on that clinic trial due to the fact that the tumor started to grow again. Good news is that there is another trial available to her...bad news is they travel back and forth to NYC again. We ask for continued prayers and support for Ana as she continues the fight of her life. Please continue to keep Ana in your prayers. A little over two weeks ago Ana underwent surgery to remove part of her brain tumor. The doctors in NYC were able to remove 50% of the tumor. Since the surgery it has been a long road for Ana and her family. Ana lost the ability to walk and sit up on her own. She was rushed by ambulance to New York Presbyterian Hospital late Tuesday night due to severe dehydration and a blood clot on her brain. Ana and her family need our continued prayers. Please continue to keep Ana in your prayers. She is in the ICU at NY University. She was extremely lethargic and slept 22 out of 24 hours. Dad and Mom drove all night to NYC. She is scheduled for surgery on Tuesday to try and remove part of the tumor, however they have to try and remove some of the fluid first. That procedure is more dangerous than the actual brain surgery. Please pray for Ana and her family. Such an angel God bless you I hope you feel better soon. Prayers for a miraculous healing in Jesus name!!!! There is power in prayer! !